Please connect with us on one of these networks to keep updated on what we're up to. 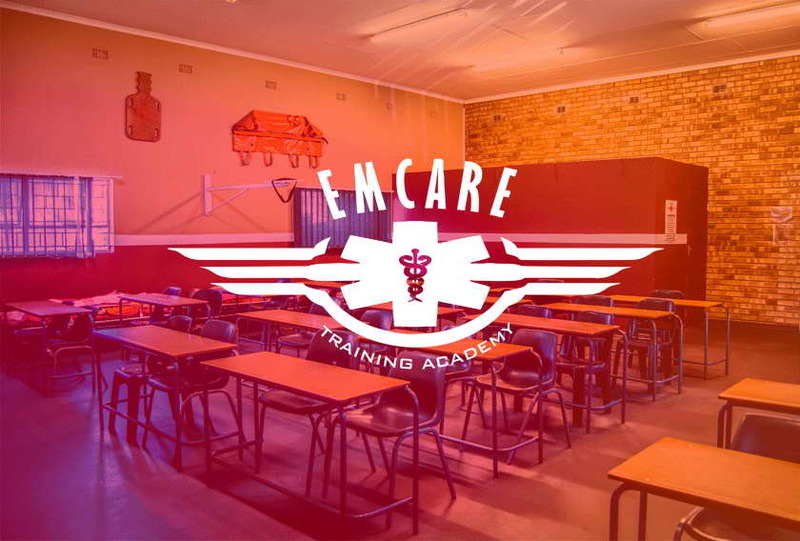 Emcare is a trusted Health & Safety training company situated in South Africa. We have multiple establishments country wide, all of them are fully equipped and furnished to provide all of our students the best training and education necessary to make them effective Firefighters and more. Creating the newest generation of emergency medical professionals is a huge and important task especially when lives are at stake. That’s why we make sure that all our students have all the right skills necessary to handle intense situations and produce favorable results. Emcare joined the ATA Training International Group in 2017, to provide a broader range of training courses countrywide. Train with the best instructors, learn the latest skills and become the best you can be. Why wait any longer? Get in touch with us today! All the courses we present are fully accredited under local accreditation bodies. Our courses are accredited by the Department of Labour, Department of Mineral Resources, HWSETA and LGSETA. Emcare supplies a wide range of first aid kits and emergency care equipment, which are being made available for emergency medical services. We provide BLS (Basic Life Support) and ILS (Intermediate Life Support) medic support services. These services are made available according to your client profile and the availability of medics. As the SHE Manager I was very impressed, this is by far the best training we've received to date. Training was excellent will definitely use Emcare again in the future. I would like to thank Emcare for a wonderful training session, which was enjoyed and appreciated by all participants. Thank you for assisting us in ensuring the safety of our Bitou children. The training today will save many lives for years to come. Your trainer, Walter, was friendly and informative and worked so well with the ladies. I would recommend Emcare to schools and other organisations needing First Aid training. Without your assistance, we would not have been able to provide the training. Thank you for all your help and understanding. An article will appear in the Plett newspaper shortly, which I will forward to you. Generally good! Could be more school based - school scenarios. Amazing!!! I really enjoyed it!! Martin was a good teacher and fun to be around. He explained clearly. Excellent! Course overall was awesome, the best moment in his lifetime to have gone to school was when he did his courses with us, how staff handle participants, conducive learning environment. Hendrik; awesome, passion for the profession and make someone understanding, so calculated, easy going. Allows group interaction. Was talking to his friends about us. All colleges will close because of us, and other people agree. Paid for ACLS when he did ITLS without any reserves but it is based on his experience. Doing a very good job, all staff are friendly, even Mamma greets, family environment that makes people feel homely, wishes the courses can go on for time. Training room & equipment; everything is on point, spotless. Catering; he loved it, especially the steak. Given the chance he would love to be with us for two weeks plus. Wade; he is a professional, gave him all the information he needed he was very accommodating. Melissa; can’t find proper words to describe her, she is priceless! We are a recognized institution worldwide a lot of people are talking about us on EMS groups. Will help us join those groups on FB and the like. Course overall was good. Hendrik; very good instructor, very accommodating. Training room and equipment; clean well laid out present, everything in working order. Catering; was good. Melissa very happy with Melissa. It was an honour to read through the client surveys from the First Aid training course done at the Whitehouse for the period 25th to 28th August 2015, every “reactionnaire” (client survey) was marked as excellent on all fields and comments such as “Best facilitator ever”, “10/10” and “keep it up” deserve some sort of recognition. Thus on behalf of the VUP Training department team we would like to express our heartfelt appreciation on a job well done to Werner. that you recently conducted for us at the Capricorn District Municipality. especially your facilitator who was very professional, excellent and knowledgeable about the subject matter.